One of Joan Darlene's many gifts is to enable her students to see their own potential in embracing Reiki as a way of life. I received all my attunements (Reiki 1, Reiki 2 and Reiki III Master) through Joan's classes and each step of the way I was forever changed for the better. Joan's Reiki classes are designed for everyone who participates to develop a new level of confidence in their abilities as well as respect for the sacred symbols of Reiki. The classes are small, intimate, and encouraging. After Reiki I, you will leave with the ability to work on yourself. After Reiki II, you will leave with the ability to work on friends and family. And after Reiki III, Master level, you will be ready to begin a practice if you so desire. I highly recommend Joan Darlene both as a practitioner for adults, children and animals as well as a Master Teacher. I had heard of Reiki, but I was not terribly familiar with the details of how it worked. 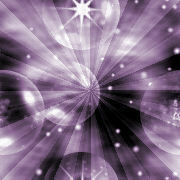 I did not know that it involved energy centers or what to expect from a Reiki practitioner. What I did know is that I had chronic auto-immune issues that cropped up from time to time, and the latest manifestation left me with rapid onset of hair loss. I knew that I needed to go inside my body and heal from within - even if I could not get my hair back, I wanted my internal balance back. From the moment I met Joan, I felt very at home, relaxed, and comfortable in her capable hands. Joan gave me a sense of calm and let me know that she would be her very best to get to the bottom of my imbalance and give me the tools that I would need to stay grounded and centered. My first visit was an amazing experience that felt like coming back to my original blueprint of what the universe intended for me. I actually felt the energy of my chakras moving and realigning back to where nature intended. After my visits with Joan, my hair stopped falling out and I have not had any reoccurrence of my auto-immune issues, and I feel amazingly centered, energetic, mentally focused ready to take life again. Reiki (pronounced Ray-key) is a Japanese name consisting of 2 words Rei and Ki meaning Universal Life Energy, an energy which animates us all and is found all around us. Reiki is believed to have begun in Tibet several thousand years ago. Dr. Mikao Usui, a Japanese Christian educator in Kyoto, Japan, rediscovered the root system in the mid- to late 1800s. Reiki is not a New Age alternate form of healing. Reiki has been around for several Thousand years. Fortunately it was rediscovered in the mid 1800's and brought over from Japan in the 1920's. Reiki is now in over 100 hospitals in the U.S. and works beautifully with Western medicine. Reiki is a complete body healing, it recognizes the root cause of symptoms or disease and treats the body as a whole, physical, emotion, and mental. Right now, so many different aspects of our life are filled with stress because of the uncertainty of the housing market, Wall Street, the increase in Unemployment rates, etc. and this affects our health and relationships, not to mention, our body All of these issues and more can be dealt with only when the energy flow in our body is open and working the way it was meant to. Reiki can bring you balance, inner peace, guidance and release all of the stress we tend to carry with us as we try to make it through the day. Reiki can work on any health issues or aches and pains that you might have. It will raise your vibration and put your body back in harmony, the way it was intended to perform, which will allow you the clarity and the ability to choose the right answer or direction for you at this time. When you have balance and inner peace you are able to make the right choices for you in any area of your life that will be for your highest and best good. The time has come for all to take care of themselves. We all need to keep our vehicles (our bodies) open and running smoothly. They need adjustments from time to time so we can keep them tuned into peace and harmony. This balance is paramount in our lives. Aches, pains, disease, and chronic illness decrease or vanish. You feel a flood of calmness in what used to be chaos. You have a noticeable increase in energy and basically just feel great! Certain aspects of relationships will now be viewed from a healthier perspective. You may often not be happy about what you discover but can decide to make some positive changes. This can lead to a real state of improved happiness. Negative patterns can surface prompting new approaches to life and relationships. Again, the outcome is always good! Exercise will call you to action and you begin reaching for healthier. Your sleep becomes restful and satisfying. You notice bursts of energy in times of lethargy. The usual button pushing situations for you begin to lose their power. You return back to a normal relaxed state much quicker. You feel more serene and trusting in life. You worry far less and trust far more. The most stubborn problems are replaced with simple solutions. People and life suddenly appear much more supportive. You generally become more peaceful and serene.